Seeking Mystery Shoppers in Baie Verte, La Scie, Pollards Point, and Springdale! DO YOU LOVE TO SHOP? Please read on for opportunities that are available to you! Premier Service provides businesses across Canada with feedback about customer service through mystery shopping. We have assignments in stores, restaurants, banks, casinos, car dealerships, and more! Thanks to our continued growth, we are looking for more Mystery Shoppers in Baie Verte, La Scie, Pollards Point, and Springdale. WHAT ARE THE BENEFITS OF MYSTERY SHOPPING? • Working on a per assignment basis, you may accept as many or as few assignments as you like • You can earn some extra money, on your own schedule • It is ideal for students, stay-at-home parents, home business owners, or anyone with a passion for customer service. REQUIREMENTS: • A valid email address and access to the Internet • A PayPal account • Excellent attention to detail and written communication skills HOW TO OFFER YOUR SERVICES: Visit our website at www.premierservice.ca. Click on the BECOME A SHOPPER button. There is no cost to offer your services. For more information, you can email me at michelle.adams@premierservice.ca. Premier Service was ranked on the coveted PROFIT100 and PROFIT500 as one of Canada's Fastest Growing companies. Premier Service is accredited by the Mystery Shopping Providers Association (www.mspa-na.org) and is a member of the Retail Council of Canada (www.retailcouncil.org). Seeking Mystery Shoppers in Port Saunders, Flowers Cove, and Sandy Cove! DO YOU LOVE TO SHOP? Please read on for opportunities that are available to you! Premier Service provides businesses across Canada with feedback about customer service through mystery shopping. We have assignments in stores, restaurants, banks, casinos, car dealerships, and more! 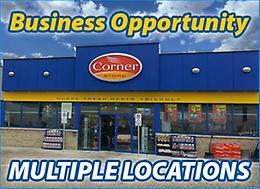 Thanks to our continued growth, we are looking for more Mystery Shoppers in Port Saunders, Flowers Cove, and Sandy Cove. WHAT ARE THE BENEFITS OF MYSTERY SHOPPING? • Working on a per assignment basis, you may accept as many or as few assignments as you like • You can earn some extra money, on your own schedule • It is ideal for students, stay-at-home parents, home business owners, or anyone with a passion for customer service. REQUIREMENTS: • A valid email address and access to the Internet • A PayPal account • Excellent attention to detail and written communication skills HOW TO OFFER YOUR SERVICES: Visit our website at www.premierservice.ca. Click on the BECOME A SHOPPER button. There is no cost to offer your services. For more information, you can email me at michelle.adams@premierservice.ca. Premier Service was ranked on the coveted PROFIT100 and PROFIT500 as one of Canada's Fastest Growing companies. Premier Service is accredited by the Mystery Shopping Providers Association (www.mspa-na.org) and is a member of the Retail Council of Canada (www.retailcouncil.org). I have a background in home care. Im looking for a job within palliative/compassion care for the elderly. For those who need assistance in in-home living (24 hour care). Looking for 2 week shift work. 2 weeks on two weeks off. You can call or email anytime, thank you.